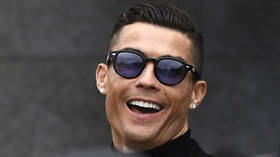 Portuguese authorities are considering the decision to strip football superstar Cristiano Ronaldo of his public honors after being fined in excess of $21 million for tax fraud during his time with Real Madrid. 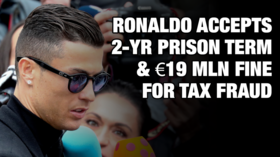 On Tuesday a Spanish court ordered Ronaldo to pay $4.1 million of that sum, while also handing the Portuguese superstar a two-year jail sentence. That custodial term was immediately suspended and reduced to a further fine of $413,500, plus an additional penalty of $4.18 million. 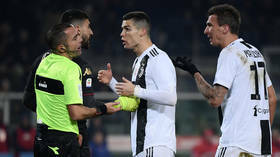 And now Portuguese authorities are deciding whether Ronaldo's tax fraud conviction should result in the Juventus star being stripped of his honors, including the Grand Officer of the Order of Prince Henry - a Portuguese knighthood - and Commander of the Order of Merit. President of Portugal Marcelo Rebelo de Sousa commented on the situation, saying: "The law is very simple: it is up to the chancellors of the national orders to see if anything has happened that could lead to the loss of an honor. "We should let those with the legal power to decide to do so and see whether the law applies or not in this case." 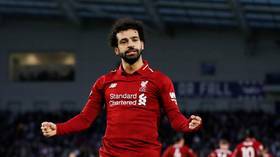 Ronaldo will not lose any honors from his home island of Madeira, however, after regional president Miguel Albuquerque confirmed the 33-year-old's status is assured, saying Ronaldo's conviction is simply an "interpretation of a tax issue." "Here in Madeira, Cristiano Ronaldo has always been seen as a good person. He is not a criminal," he said. "He is the most prestigious Portuguese in the world."